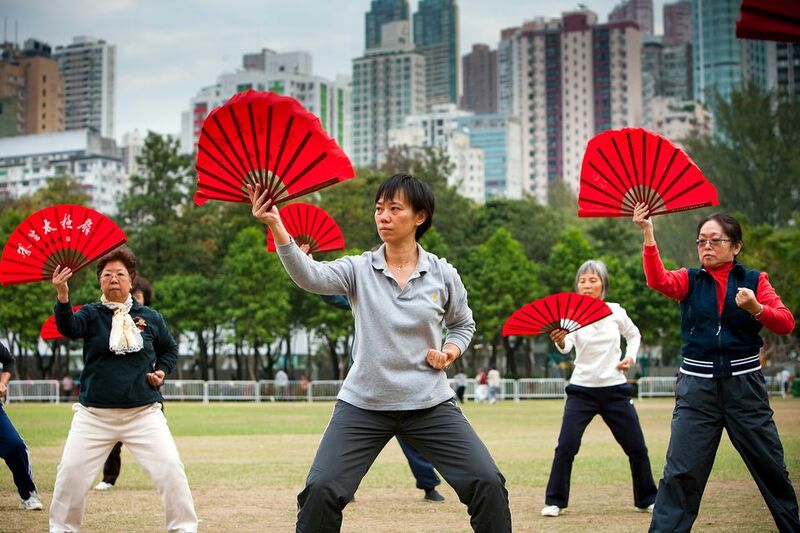 An essential part of many peoples' lives in Hong Kong, Tai Chi is practiced in public parks throughout the city, especially early in the morning. While there are no free classes anymore, you can still find groups to join for small entry fees. Tai Chi is an ideal form of exercise that is also perfect for relaxation. For this city which always seems to have both feet on the gas pedal, Tai Chi is a favorite way to unwind and stay healthy. The practice includes a series of fluid movements which are designed to keep the balance of Yin and Yang in the body. None of these movements are strenuous, nor are they difficult to learn, making Tai Chi accessible and inviting to tourists. In 2015, the Hong Kong Tourism Board ended their free Tai Chi classes, but the site still lists many classes which you can join for a monthly fee. Activities are conducted in Cantonese unless specified; non-residents will need to present identity documents to obtain the less-expensive concessionary fees. Classes can be canceled due to weather; when air quality issues arise, participants with existing heart or respiratory illnesses are recommended to seek medical advice before attending the classes. Teach Tai Chi, conducted by the Hong Kong Tai Chi School at the Kwai Tsing Theatre, every Tuesday from 9:00-11:00 am. Events also include films and presentations. Tai Chi class, Hong Kong Tai Chi School at the Sha Tin town hall, every Thursday from 4:00-6:00 pm. Many training events for people who can use anywhere from beginning Tai Chi classes to advanced Sword courses are listed with the Hong Kong Culture Center. If you already know Tai Chi, you can sometimes join in informally with groups practicing at several venues around the city. Some groups known to accept passers-by can be found at the following parks, generally in early mornings. Ask permission to join a group first, but be forewarned that most will not speak good English. If you watch the group for a few days before asking to join, they may be more receptive to your request. That will also give you a chance to find out the protocol. In​ particular, watch to see if the students pay the teachers (who may be retired masters) at the end of the lessons, it may be just a dollar or two. If you do get permission to join for a day, at the end thank the teacher as you pay and ask if you can return. If a group rejects your request to join them, ask if they know of another group who might accept you.